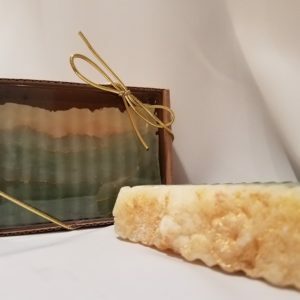 View cart “Lavender Soap | Relaxing Goats Milk Soap” has been added to your cart. 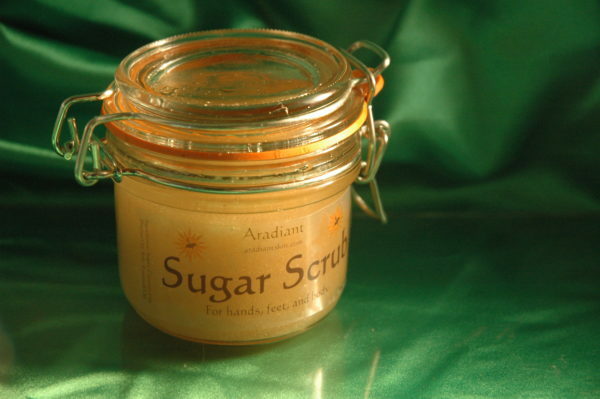 Our luxuriously hand crafted all natural sugar scrub will leave your skin flawless and squeaky clean. Made with organic sugar, our sugar scrub will exfoliate, rejuvenate and restore your skin. The organic coconut oil provides powerful antibacterial properties, while the porcine oil adds potent anti-inflammatory properties and essential vitamins. 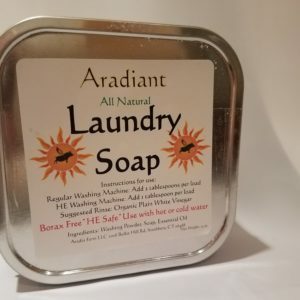 This is a perfect scrub for gardeners, farmers, mechanics or anyone who likes to play in the dirt! 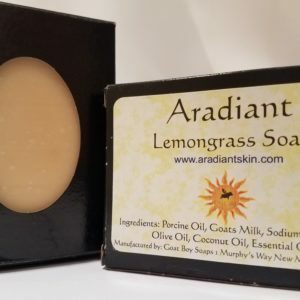 It will clean and sanitize your hands leaving them silky soft and spotless. Our Sugar Scrub is also great as a foot scrub and be sure to follow up with our Fancy Foot?for that spa pedicure feeling! Although sugar is not typically thought of as a healthy product, it does offer some surprising benefits for the skin. Sugar is an all natural source of glycolic acid which is commonly used to treat aging or sun damaged skin. Glycolic acid penetrates the skin and helps to break down the bond between skin cells which encourages cell turnover. By creating cell turnover, glycolic acid generates fresher younger looking skin. The small particle size of the sugar in the sugar scrub also makes an excellent topical exfoliant. Sugar naturally buffs the skin to remove dead skin cells revealing healthy glowing skin. Sugar is also an all natural humectant meaning it draws moisture into the skin, unlike a salt scrub that will tend to dry out skin. In addition to the benefits of sugar, our Sugar Scrub contains our all natural porcine oil. Our porcine oil has powerful healing properties and can hydrate the skin like nothing else, infusing it with fat soluble vitamins such as A, D, K, and E. Our Sugar Scrub also contains organic coconut oil. Coconut oil is another powerful, all natural moisturizer which also features anti-microbial and anti-viral properties. Our Sugar Scrub will not only naturally buff your skin leaving it fresh and younger looking, but it will infuse your skin with the natural moisture of coconut oil and the healing properties of our porcine oil.